Del. Mary Ann Listanti (D-Harford) has been roundly and rightly called out for using a horrible racist slur ever since Ovetta Wiggins’s reporting over at the Washington Post brought it to public attention. Many of her colleagues, party officials, and activists have called for her resignation. According to court documents, Jalisi’s daughter, 18-year-old Alizay Jalisi, applied for the protective order after her father allegedly slapped her late last month during an argument, the Associated Press reported. He was not criminally charged in the case, and Jalisi has denied the allegations. 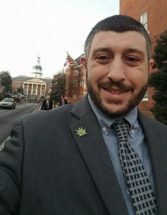 According to sworn testimony, Delegate Jalisi’s behavior toward his 2015 legislative staff was “unpredictable” and often “volatile.” Delegate Jalisi treated his staff as “truant” if they left to go to the restroom or to get lunch, and required his staff to keep daily logs of their work and justify to him how the tasks listed on their logs met their job requirements. Delegate Jalisi belittled his staff and accused them of failing to complete their tasks. Once again, Del. Jalisi denied everything despite a wealth of testimony, evidence and contemporary written accounts of his behavior. Del. Jalisi was similarly “bullying,” “abusive” and “belligerent” in 2016, 2017, 2018, and now in 2019. State troopers were called in during one incident at the Clerk’s office. People in an adjoining office filed a complaint after overhearing his loud abuse of staff. Unacceptable behavior is not a one-off for Del. Jalisi. In 2015, the Ethics Committee sent him an admonishing letter stating that his behavior “reflected poorly” on the General Assembly. The Speaker and Majority Whip spoke to him about the complaint and further bad behavior in 2016. In 2017, the Speaker and the Majority Whip “counseled” Del. Jalisi in March and again in October about his improper treatment of staff in both the Human Resources and Clerk’s offices. 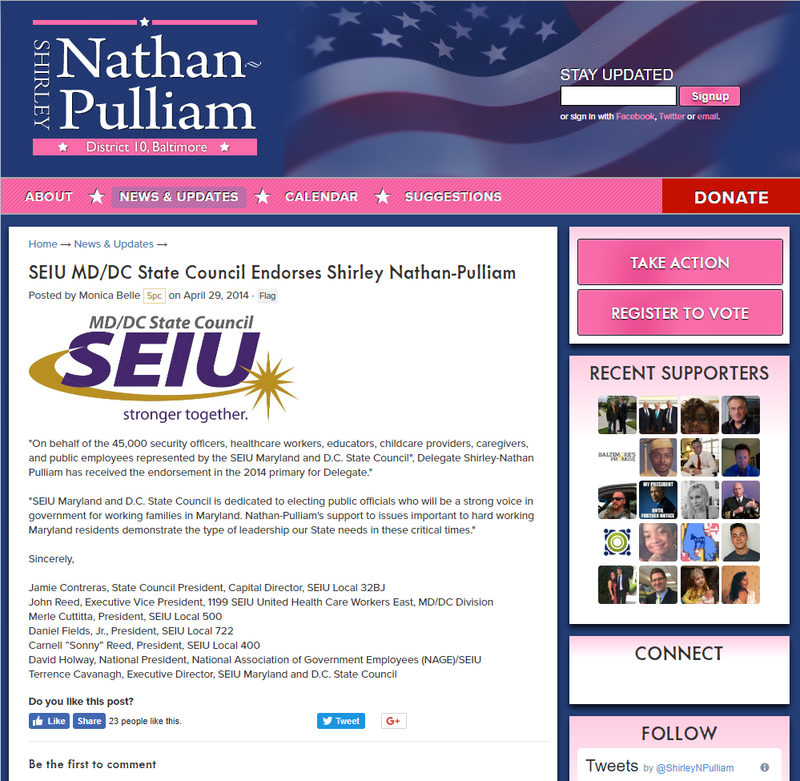 The Ethics Committee recommended in 2018 that Del. Jalisi not be allowed to have staff starting in 2019 if he did not complete anger management training. The committee essentially reiterated its recommendation when another incident occurred. Del. Jalisi didn’t complete anger management training by the start of the 2019 session. According to the Ethics Committee report, he nonetheless hired staff and then later falsely promised that his company would pay the staffer when it became clear that the General Assembly would not. The Ethics Committee recommendations are now stronger, recommending a reprimand by the full House of Delegates and that Del. Jalisi lose committee assignments as well as staff if he doesn’t completely anger management by the start of the 2020 session. This is too little, too late. Del. Jalisi should resign. Since Angry Delegate seems unlikely to pursue that course, he should be immediately removed from committees and prohibited from participating in any House activities beyond casting his vote, including county delegation and Democratic Caucus meetings. This should continue until he shows a stronger commitment beyond one anger management course towards mending his ways and should include restitution in some form to the many people he has abused in public office. The people of Baltimore County and the citizens of Maryland deserve better. Though I laud its recent report, the Ethics Committee also needs to examine why it did not take action with meaningful consequences until the fourth year of Del. Jalisi’s unacceptable pattern of bullying and abuse. If you thought the Montgomery County executive race was tight with Marc Elrich leading David Blair by 269 votes and lots of ballots yet to be counted, just take a look at Baltimore County. After counting the first set of absentee ballots, former Del. Johnny Oleszewski, Jr. leads Sen. Jim Brochin by 42 votes! The current totals are 27,270 for Oleszewski, 27,228 for Brochin with Councilmember Vicki Almond close behind with 26,211. As in Montgomery, we’ll have to wait until after Independence Day when the rest of the absentee ballots and the numerous provisional ballots are counted. I don’t know how many of each are outstanding but it’s surely enough to leave the winner up in the air. Are Republicans Playing Dirty Pool to Unseat Klausmeier? 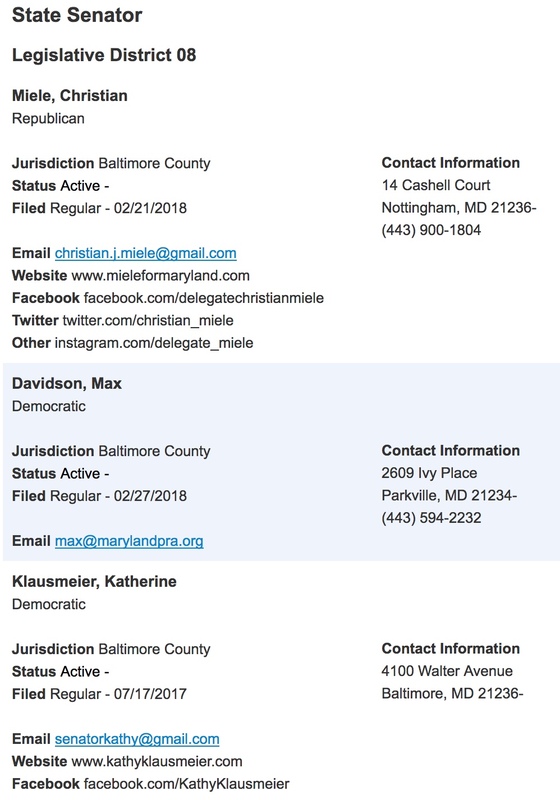 On the day of the filing deadline, Max Davidson launched a primary challenge against four-term Baltimore County Sen. Kathy Klausmeier (D-8). Davidson is head of a pro-medical marijuana lobbying group, the Marijuana Patient Rights Association. Not exactly the profile of a Democrat who is raring to take on Miele. Indeed, Davidson’s donation profile leans heavily Republican. 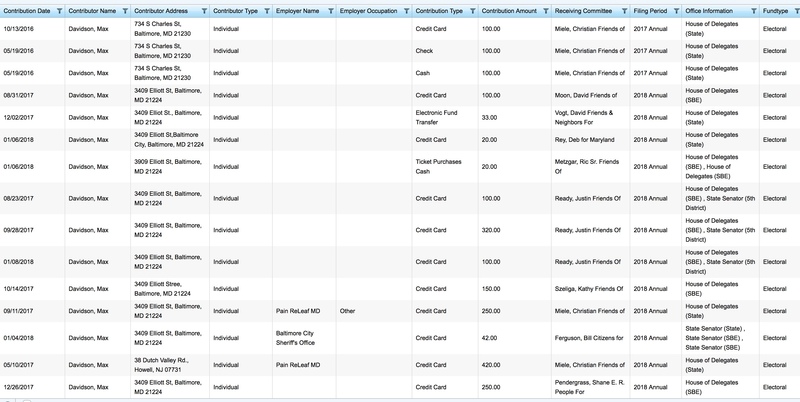 Besides Miele, he also gave $520 to Sen. Justin Ready (R-5), $150 to Del. Kathy Szeliga (R-7), $33 to Del. David Vogt (R-4), $20 to Del. Deb Rey (R-29B), and $20 to Del. Ric Metzger (R-6) for a total of $1713 in donations to Republicans. In contrast, he gave just $392 to Democrats — $250 to Shane Pendergrass (D-13), $100 to Del. David Moon (D-20), and $42 to Sen. Bill Ferguson (D-46). Rather than being eager to take on his favorite state legislator, Davidson’s candidacy smacks heavily of a Republican effort to weaken Klausmeier. Davidson presents no real threat to Klausmeier but Miele would sure love if he softened her up a bit and forced her to expend resources in the primary. The notion that Davidson wants to take on his favorite Republican makes no sense. Did Davidson really not coordinate or discuss with Miele, his favorite Republican, before filing for his seat? 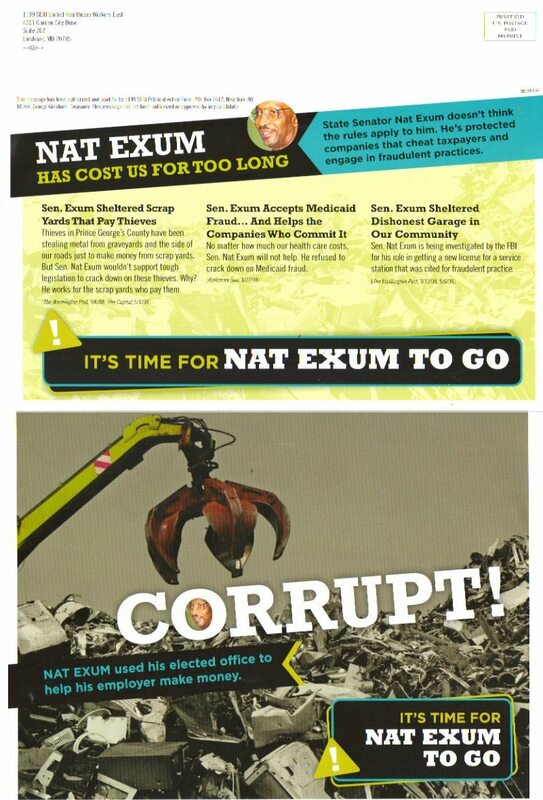 Any voter who was on the fence, or who just doesn’t like these tactics, now has an excellent reason to vote for Klausmeier. You should also remember this one the next time Hogan and the Republicans trot out the usual bromides and claim that they are political reformers. So far, there have been 1159 bills introduced in the House of Delegates and 821 in the Senate. Some of these are duplicate bills filed in each chamber – called cross filed bills. Remember, every bill has the potential of becoming a law. Do you think we need an additional 2,000 laws every year? I am the primary sponsor of 6 bills. I have cosponsored many other bills. If you’d like to see the whole list of bills I’ve sponsored and cosponsored CLICK HERE. HB 454 – will prohibit the State of Maryland from charging drivers a Vehicle Miles Traveled tax. This is a concept that has been considered in the past. It’s a terrible idea for lots of reasons. Cutting through the anti-tax rhetoric, Del. Szeliga wants to ban a tax that we don’t have through a law that could be overturned by the General Assembly as easily as it is passed in the first place. But having wasted taxpayers funds and the General Assembly’s time, she can engage in the time-honored Republican tradition of going home and talking about how she fought the good fight on taxes, even though she will have done nothing even if her bill passes. So, as it turns out, Del. Szeliga is right. Legislators are sponsoring unneeded legislation. She just didn’t realize that she met the enemy when she looked in the mirror. HB 735 – will allow people traveling through our state to transport legally owned firearms via vehicle or boat. The unintended consequences of the restrictive gun bill that passed a couple of years ago is that it prohibits lawful firearm owners from driving or boating through our state with certain firearms that are now illegal to own in Maryland. In other words, despite her claims to the contrary, the law is working as intended. Bizarrely, Del. Szeliga’s bill would give non-state residents a free pass to carry weapons that we don’t allow our own residents to possess. HB 1147 – is a matching grant request for $200,000 for Angel Park in Perry Hall. This new park will be located on Honeygo Blvd and will be similar to Annie’s Playground in Harford County – a playground fully accessible to handicapped children. Angel Park has already raised about $1 million in private contributions and this will help with the playground equipment purchase. There are usually $7 million in grants for community projects approved by the House and $7 million by the Senate. Don’t get me wrong; this sounds like a great idea. I worked with my colleagues on the Town Council and in the County to improve playgrounds in my own Town. It’s even better that the playground will be fully accessible. I like Del. Szeliga’s earmark so much that surely some must suspect that she is part of the liberal problem rather than the conservative solution. Indeed, a true spendthrift conservative Republican should perceive this as an earmark by the State in an area of local responsibility that just makes it harder for Gov. Hogan to keep his tax cutting promises. Especially amusing is her not-so-subtle mention of this being part of $7 million in state grants. Read: it’s OK; all the kids are doing it.